New hardware targets CPU-hungry processes such as AI and VR, offering better workplace productivity and efficiency. Intel has revealed a new series of its Xeon processors aimed at businesses that deal with data-hungry processes such as Artificial Intelligence and and Virtual Reality. The new Intel Xeon W processors are aimed at mainstream workstation devices, but thanks to their high performance levels, will be able to offer major productivity advantages for businesses using tools such as 3D rendering and modelling. First unveiled back in July, Intel's Xeon Scalable processors offer up to 56 cores, up to 112 threads, resulting in overall clock speeds of up to 4.2 GHz. 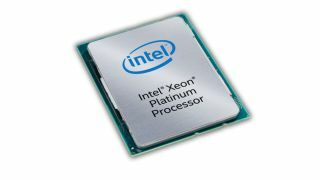 The new Xeon W hardware announced today is available with up to 18 cores and up to 36 threads, with Intel Turbo Boost Technology allowing for frequencies of up to 4.5 GHz. Intel says that these specs mean that users of everyday mainstream workstations will see up to a 1.87x boost in performance compared to a 4-year-old system, and up to 1.38x higher performance compared to the previous generation. "We are also excited about the Intel Xeon W processor family’s ability to accelerate end-users’ work and creativity," Intel's Lisa Spelman wrote in a blog post announcing the news. "Many sectors will benefit, including financial services, energy, life sciences, product development, and operations."